The problem with judging poetry is that you’re comparing apples with chairs. On the one hand here is a heartfelt, confessional lyric which the poet has clearly agonised over writing but paid little attention to the music of language. On the other here is a deftly crafted villanelle, perfectly formed, exquisitely structured but pretty much lacking any real emotion. Then there’s a witty piece of absurdism that makes me smile each time I read it, though no-one’s going to claim it has any serious purpose. Whereas this delicate lyric drawn straight from natural observation is accurate, intense, particular, yet entirely descriptive. By being brutally unfair to some poems I pare the total down to around 60. Each of these has something in it that works for me, something I’m attracted by. Now let me simply focus on the poems I especially like. Why do I like them? What is the particular attraction? Do they sustain it completely from beginning to end? This one starts well, but loses its way. That one has some wonderful imagery then stumbles with a vague ending. This one over here has some lovely lines within it, but the poem doesn’t seem to have any overall direction. Here’s one of the most powerful images I’ve seen in a long time, but does the rest of the poem really offer much more? This is not easy at all. But, eventually, after nearly two weeks of going round in circles, finding different virtues, putting poems aside then reconsidering them, I’m finally, down to fifteen contenders. “Night Waves” creates a soft pattern of gentle images and gentle sounds. I like the way the poem breaks a relatively conventional rhythm with unusual, even awkward, line breaks (on “the” and “at”, for example) which, for me, creates an echo of the arrhythmia of the sea. In “The Window” we’ve a relationship very frequently found in poetry, that of patient and carer. Usually the poet’s voice is that of the carer observing the decline of their loved one. In this poem, this is inverted, with the voice of a patient contemplating her or his exit, in a voice that is tentative, barely heard and almost entirely dependent on the kindness of others. “Singing” seems at first like another sad carer and patient poem, as it begins that way, but it makes a clever sideways move a third of the way in, using the idea of reading an alternative lifeline in the patient’s palm to imagine a happier life, with rather different seminal moments: “this time you open/the letter he sent after the argument”. I enjoy the way this poem simultaneously is upbeat, in the imagined life it relates, and yet full of regret, because that positive tale concerns the life that got away. “Lumber Room at the Twilight Hotel” uses the sustained imagery of old furniture for people in their latter days. The sustained imagery is wonderful in its concreteness and detail, though the parallels perhaps could be more fully drawn out. “Grandmothers in the Garden” focuses on an unusual vision of “dark-clothed grandmothers/performing tai chi” in a Beijing street. We get glimpses of a lively, happy, city, where the idea of dance seems to permeate the air. I particularly liked here “The grandmothers look up and wave/and I want wings” because of the ambiguity of “want”. It simultaneously seems to mean both “I lack” and “I desire”, at one and the same time both setting the observer apart and offering them an aspiration. “An Exercise for a Writing Group” seems a perfectly ordinary poem - in fact, it is almost prosaic - until an unexpected ending leaps out of nowhere: “tendrils/rise from cloud/south of the A66/and I dream/I can see the kraken.” I couldn’t shake that surprising image, so had to have this poem in my list. “Rise and Fall” attracted me with its opening: “We listen to Debussy all afternoon/and to the yawn of saws in the shop downstairs”. The setup of a mini-story in these two lines is succinct, and the combination of Debussy’s music and the interference of the saw-noise, conveyed through the musicality of the lines themselves, was one of those openings that stayed in my mind through all the readings. The poem conveys a particular Sunday afternoon very well, and manages also to suggest something deeper in its account of balloons which eventually “drift away from each other”. I think this poem might have been even higher in my estimation if it hadn’t opted for a rough and ready rhyme scheme which seems rather oddly applied. Of the Highly Commended poems, “This need of foxes” is starkly pessimistic in the way it combines closely observed fox imagery with the more apocalyptic ideas the fox-cry brings to mind: “a need, a moaning desire”, seemingly animal and human in “this need of foxes coming together”. This poem is peppered with excellent effects, such as the dynamic movement of the creatures reflected in the shifts of language and sometimes wonderful phonic effects, as in “their terracotta pelt with welted black/ on their backs”. This might have been a prizewinner, except for my feeling that it somewhat overeggs the pudding in the very last line. “Journeys” is evocative, clever, lyrical, very well crafted, witty, with each word precisely selected for its purpose but slightly spoiled in my mind by the need for a footnote. I’d rather poems stood on their own two feet, and this one could have, I think. “The Rescue” offers images of struggle and survival, getting through “the month/of the hunger”. This poem is particularly good at choosing images which in themselves are ordinary but have been transformed to express struggle. For example, “ice in huddled puddles” (I enjoyed the internal rhyme here, too) or “The veins are obvious on everything”, where “veins” are at once a symbol of life, of blood, of healthy leaves, and yet, in being so “obvious” are unnaturally prominent, pronounced, as if tense, tight, fighting. Third place eventually fell to “Scaling the Mountain” a poem in terza rima. I was partly attracted by the deft way this form is handled, particularly in rhymes such as “helter-skelter/Delta/swelter” and “upsetting’s/spaghetti/confetti”. However, it’s the overall movement of the poem that I found most compelling, as it builds detail and story to a climactic image of swallows enslaved by freedom. I’m not sure it works quite as perfectly as it might at the end, because it seems to overplay its hand a little, but the core conceit of tourists themselves being the instruments of the misery they come to witness is a powerful one, and the final ambiguities of smiles that might be forced, serene, happy, sardonic, hypercritical or much more seemed rich with undercurrents of meaning to me. “Listen” achieved second place because it was the best example of a tight, pared-down lyrical poem among the one hundred and sixty eight poems submitted. But what particularly lodged it in my mind were the lines “place my fingers/in the memory of yours” a beautifully elegant summary of both the physical and metaphorical, which at the same time tells us something about a relationship and something about loss. The intimacy of the moment captured here is excellently conveyed through suggestion rather than statement – the poem works as much due to what is left out as what is included, which is a difficult trick to get right. The ice-cream tune is at once a snide note which tells us the speaker is perhaps a little snobbish, a little “above” such things, and also a hearkening to a lost life, ice-cream being an innocent, perhaps lost, pleasure, a childhood gratification. The phonecall is necessarily someone else’s: the speaker knows it’s not for them, because the speaker knows there’s no-one who will bother to ring, suggesting people lost, one way or another. The chimes are bleak, almost oxymoronically, with their false brightness and optimism. The phone cuts off as the speaker is cut off. And then, the speaker is left alone. He wants to be left alone. He gets his wish. He seems to deserve all he gets. The succinctness and suggestiveness of such devices is little short of brilliant. A superb piece of work and very worthy winner. Richard Schwartz – Things you should be able to talk about without politics intruding. In November 2012 SPM Publications published a brilliant poetry collection, All the Invisibles by prize-winning poet Mandy Pannett. All the Invisibles is the Sentinel Poetry Movement book of the month and throughout February 2013 there will be absolutely NO DELIVERY CHARGES in the UK and international buyers will receive £1.50 off delivery charges. Every buyer will also receive FREE pdf versions of the Sentinel Literary Quarterly magazine July-September and October-December 2012 issues. Light is threaded through Mandy Pannett's poems, along with a tantalising sense of individuals captured momentarily in many different landscapes, among them, the artists, Durer, Seurat, Monet and Ravilious. This book moves through a range of emotional states - all of them bittersweet: melancholy, change, curiosity - but Pannett is spare with words and her lines feel charged as a result. Expect to be startled by the images she creates, intrigued and excited by her talent for description and the insights her poems offer you, like delicious, rare fruit. "Mandy Pannett's poetry is varied, original, magical and full of surprises." In Pannett's All the Invisibles "The lyrical is always hovering, but if she does bring daisies she makes us work for it...Mythological and historical themes broaden the rhythms ... "
along with beasts - hares, horses, foxes, flies - and are fleetingly illuminated, for the most part in free verse, but there are also sonnets and terza rima, before retreating once again into their shadowy worlds." 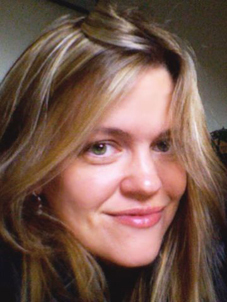 Dr Kate Horsley returns to judge this quarter's Sentinel Literary Quarterly Short Story Competition closing 31st March, 2013. Afam Akeh's Letter Home & Biafran Nights. and the Sentinel Annual Literature Anthology 2012 edited by Nnorom Azuonye, Unoma Azuah and Amanda Sington-Williams. Come and be a part of this event and experience reading from the books and interact with the authors. The venue is very easy to access - just 2 minutes from Waterloo Station. There is ample metered parking on The Cut and neighbouring streets.